The news of the killing of Iran’s senior nuclear scientist immediately gripped the country’s media, with some appealing for revenge attacks against targets in Israel and the United states. 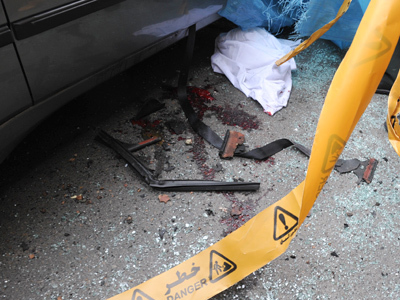 ­Mostafa Ahmadi-Roshan, 32, was killed Wednesday by a magnetic bomb placed on his car by a motorcyclist in the capital Tehran. Iranian state-run media were quick to point the finger at Israel and the United States. Iranian officials expressed their deepening anger and outrage at both countries, with media sources close to the country’s supreme leader, Ayatollah Ali Khamenei, such as the Kayhan newspaper, going as far as signaling that Iran’s Islamic Revolutionary Guards Corps might carry out revenge assassinations. The supreme leader himself said Thursday that those behind the killing of the scientist would be punished. "We will continue our path with strong will…and certainly we will not neglect punishing those responsible for this act and those behind it," the official IRNA news agency quoted the leader as saying. Khamenei directly accused the US and Israel of being behind the assassination and pointed out the country’s nuclear program will not be shelved. 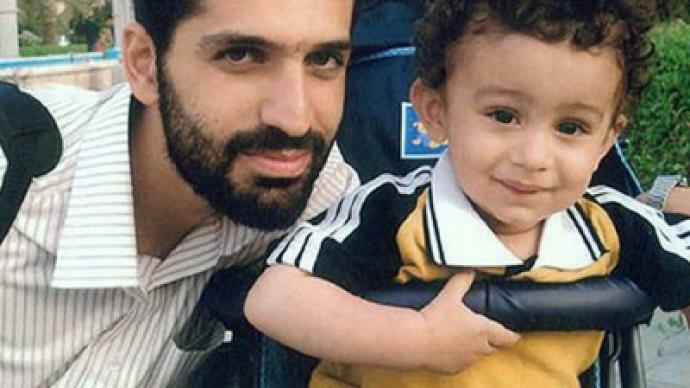 “This cowardly terror has been designed or helped by the intelligence services of the CIA and Mossad and shows that the arrogant powers have reached a dead end in the face of the strong Iranian nation,” Khamenei said, extending his condolences to Roshan’s family. In a message posted on his website, Khamenei said Iran's nuclear program "does not depend on any one person" and "we are going to continue with determination and energy on this path." Compared to these strong words, the official reaction from the Iranian government was moderate. 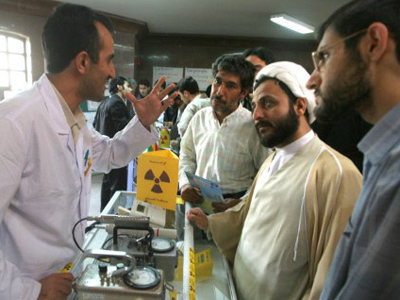 It assured that Iran would not be dissuaded from its right to peaceful nuclear energy. Iran’s ambassador to the United Nations, Mohammad Khazaee, said in a letter to UN Secretary General Ban Ki-moon that the killing was part of a campaign of terrorist acts against Iran committed by “certain foreign quarters,” and demanded that the UN Security Council investigates and condemns the crime. Meanwhile, top US officials have gone out of their way to issue strongly worded denials of responsibility. Secretary of State Hillary Clinton denied her country’s role in the killing and the US administration condemned the attacks. 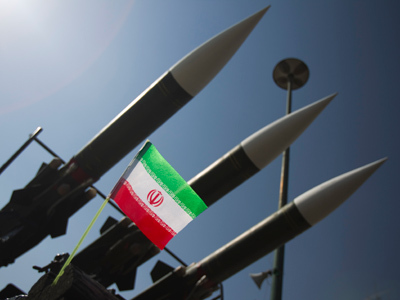 On the other hand, Israeli officials, who suspect that Iran is working on building nuclear weapon and regard Iran as their country’s primary enemy, have not categorically denied any Israeli role in the killing. 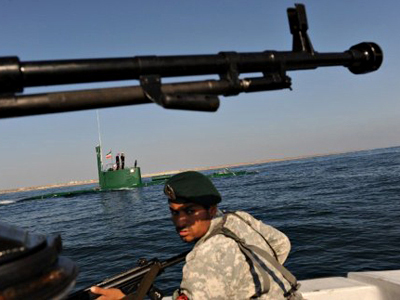 Tensions between Iran and the West have particularly increased in the past weeks, when Tehran announced its plans to conduct the "greatest naval war games” in the Strait of Hormuz – the artery for almost one quarter of the world’s oil traffic. 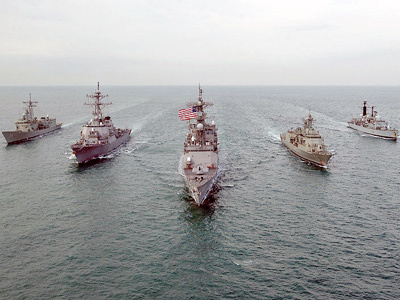 The announcement prompted the US to deploy its warships to the Persian Gulf area, including aircraft carriers. But Jamal Abdi from the National Iranian American Council says the main purpose of the assassination was to isolate Iran – while the interested party may come from within the Persian country.